It’s kind of weird to hear a dry clutch pulling up and have it not be a Ducati. Nice. Is it sketchy with the 17s? Wow, very cool. That thing looks museum perfect, but the fact that its still being ridden, on the track it appears none the less gives me wood. It is not currently being track ridden. He raced it back when it was a new bike. 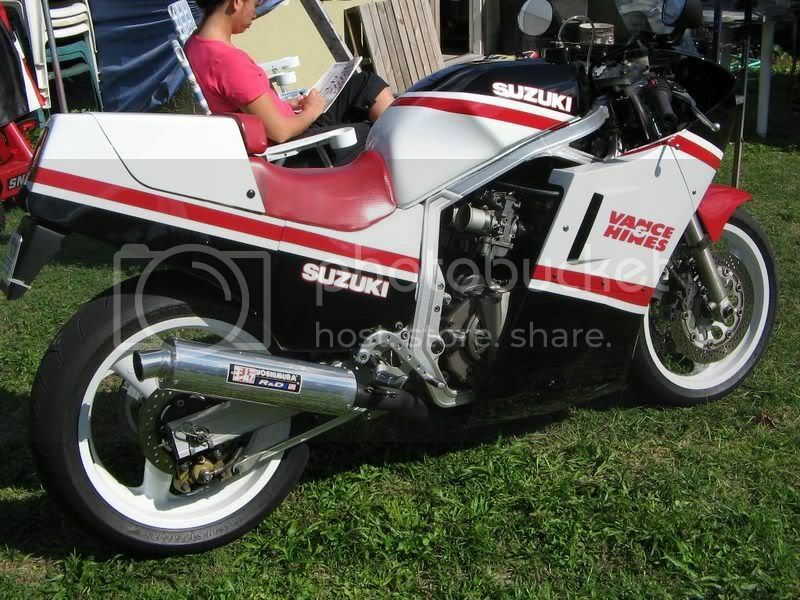 The dude also has a TL1000S, R1, and Mille R, all of which have rolled at Jennings GP in recent years. It’s more of a bike night pimp ride now after restoration. Not to say that he won’t take it to the track. It just hasn’t happened yet. Less than one year since restoration. My ’87 VFR is in the background. When Scott pulled in and got his helmet off he said “look your bike just pissed itself”. Facker. Last edited by WKDBLD; February 2, 2007 at 01:44 PM..
are you running open carb?